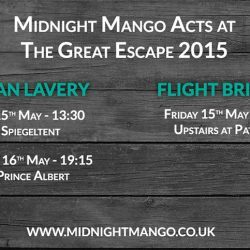 Both Ciaran Lavery & Flight Brigade will be at The Great Escape this year. Find out their timings here. Pleased to announce that we are now working with Rusty Shackle. Kathryn Roberts & Sean Lakeman start their ‘Tomorrow Will Follow Today’ tour in support of their new album today. 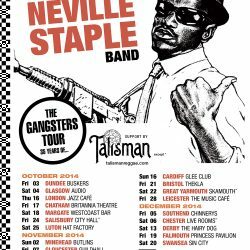 Catch them at one of the following shows, they will not disappoint! Please to announce that we are now working with Flight Brigade. 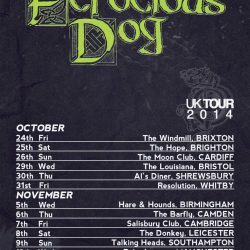 Announcing Ferocious Dog’s Autumn Tour 2014. Please to announce that we are now working with Raghu Dixit﻿. 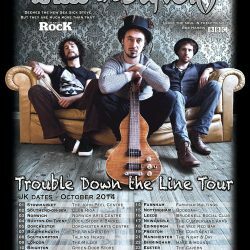 Announcing Wille and the Bandits ‘ Trouble Down The Line Tour’ 2014. 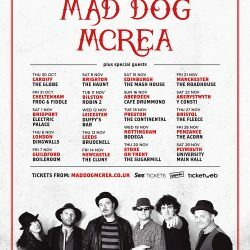 We are pleased to announce Mad Dog Mcrea’s ‘The Longer Road Tour’ this October & Novmeber. Days & Times of all Midnight Mango acts playing at Glastonbury Festival 2014.